Think of our weather as being very similar to tropical islands in the South Pacific, such as Tahiti and Fiji, which are on similar latitude. The climate is tropical and is warm year round. 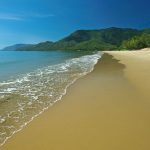 You will not see any fireplaces in houses along the coast north of Cairns! Indeed many houses have windows that are permanently left open to catch the sea breezes. January to April is the ‘wet’. This is a time of hot sunny days with periods of warm tropical rain. You will notice that the daily sunshine hours are high. This is because the rain predominantly falls at night. This is a spectacular time of year. The tropical vegetation is abundant and the forests are filled with clear streams and many waterfalls. The prevailing sea breezes at this time are from the North. The official cyclone season is from November to April. May to December is the ‘dry’. The rain that falls at this time is less intense than the tropical downpours of the ‘wet’. The temperatures and humidity are a little lower. From April to September, the prevailing breezes are the southeasterly Trade Winds. January, February and March is an exciting time of the year. It is the hottest time of the year. Maximum temperatures are 89 F (32 C) and minimum at night 72F (22C). This is the start of the wet season. Spectacular monsoon clouds build up in the late afternoons and up to 16.5 inches (419mm) of rain may fall during a month. However we have an average of seven sunshine hours every day. This is a beautiful time of the year to experience the Great Barrier Reef, as the seas can be calm, warm, deep blue with good visibility. The tropical rainforests are at their very best at this time of year and many colourful migratory birds visit the area. You can also expect to see a great variety of brilliant butterflies and tropical blooms in our gardens. The colours of nature are vivid and intense, reflecting the tropical light. The warm, calm, clear sea between November and May is the time when marine stingers such as irriganji and box jellyfish can be found along 2,000km of coastline on northern Australian beaches (Queensland, Northern Territory and West Australia). It is therefore only safe to swim at patrolled beaches (Thala has an unpatrolled beach) during these months. Box jellyfish are generally not found out on the Great Barrier Reef where the fish and coral viewing is at its very best. Charter boat operators will generally offer swimmers the use of lycra stinger suits which form a barrier against marine stingers. The coldest month of the year is July when the maximum temperature is around 77F (25C) and the minimum at night 61F (16C). You can see we never have a real winter. It is warm and balmy throughout the year. Frosts have never been recorded in our coastal area. From June to September is the annual migration of the Southern Humpback whales. Pods of these magnificent animals travel from the Antarctic to have their calves in our warm tropical waters. Other common whales at this time include Minke, Dwarf Minke, and Brydes. The coastal waters are also home to many species of dolphins, such as Bottlenose, Humpback, Spinner and Irrawaddy. September to December is often a period of very calm seas, hot sunny days and occasional afternoon thunderstorms. The official cyclone season is from November to March, though tropical storms can occur outside these months. Many tropical trees and vines are in full bloom and the gardens are a riot of colour during this wet season. 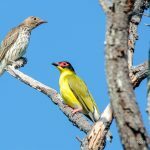 Birds and butterflies abound; in particular many species of Honeyeaters which take advantage of the rich supply of nectar. Waterfalls are at their absolute best during this time. Because of our beautiful climate and an abundance of activities, Thala Beach Nature Reserve is a great place to visit at any time. 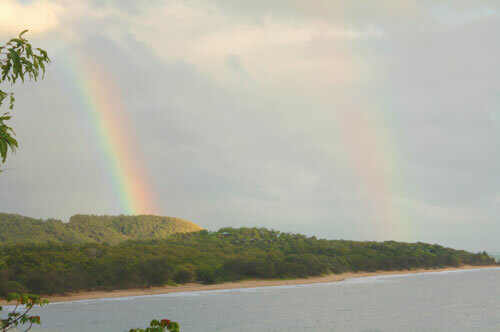 Boats take our guests out to the Great Barrier Reef and safaris leave for the rainforests every day of the year.